Susan Ursel has been selected as Constitutional-Litigator-in-Residence for Fall 2018. Susan Ursel is a senior partner with the law firm of Ursel Phillips Fellows Hopkinson LLP. An experienced litigator, her work includes both arbitration/trial level and appellate advocacy. Susan practices in the areas of labour, employment, pay equity, employment equity and human rights law, as well as pensions and benefits law. She has practiced at all court levels including the Supreme Court of Canada, as well as extensively before labour boards, human rights tribunals and arbitration boards. Ms. Ursel was senior counsel to the Ontario Secondary School Teachers’ Federation in its successful Charter Challenge to Bill 115, an act which imposed collective agreements upon education sector unions in 2012. She has represented the Canadian Bar Association in its intervention in the Trinity Western University v. Law Society of Upper Canada case in the Ontario Court of Appeal. The Court affirmed the Law Society’s decision to deny accreditation to TWU’s proposed law school on the basis of discrimination against the LGBT community. This case has been appealed by TWU to the Supreme Court of Canada and a decision is pending. 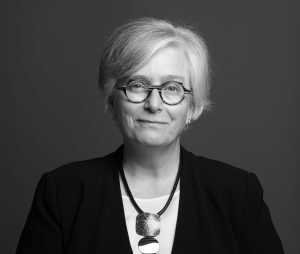 As ground breaking counsel seeking progressive legal change for her clients, she has appeared in the Supreme Court of Canada on such precedent-setting Charter cases as Egan and Nesbitt, the first Supreme Court decision to deal with the equality rights of gay men and lesbians; the Trinity Western case which dealt with the issues of LGBT rights and the appropriate training of teachers; and the Chamberlain case, which dealt with the educational rights of children in gay and lesbian families. More recently, Ms. Ursel has represented members of the transsexual/transgender communities, helping to establish essential precedents in such human rights cases as Hogan (dealing with the full availability of public health care for the trans community) and XY v. Ontario (dealing with the issue of gender identification on birth certificates). Her work in the human rights field stretches back more than two decades. She has acted as complainant’s counsel in a number of important human rights cases in Ontario, including the Hamilton Gay Pride Day case, the Sims case which dealt with employment rights of gay men and lesbians, and the Thornton case which asserted the employment rights of persons with HIV/AIDS. Read the Asper Centre’s press release announcing Ms. Ursel as the new litigator-in-residence HERE. View the Asper Centre’s past constitutional litigators-in-residence HERE.